Corrected it! Thanks, Robert! And congrats to you! I’d heard the rumor you were in the book while perusing Matt Moore’s site, but couldn’t substantiate it. Are you going to blog this, tweet it, something, with your title too? By the way, Flashforward is wonderful. Congrats… that’s wonderful news. I love the bit about the statue of liberty and the picture. I may be canadian, but in my opinion she’s a work of art and definitely has a lot of historical emotion and significance. Congratulations Jerome. I bought and read Tesseracts Nine some years ago after meeting you in Texas and reading reviews of “Lemmings in the Third Year”. It’s a funny and interesting story and I really enjoyed the broad range of stories and writer’s styles throughout the book. 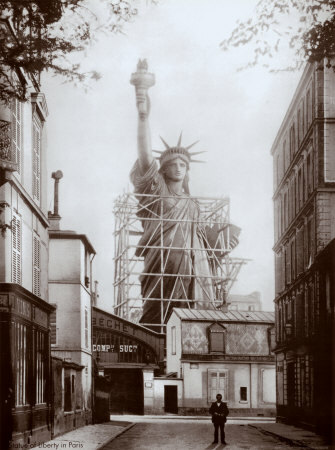 As for the Statue of Liberty, sometimes I worry that the US no longer does justice to the symbolic meaning of Lady Liberty or the words carved on her. Does the US really welcome the tired, the poor and the huddled masses anymore? Often, I think not but that just may be jaded me.